Powerful concert band music in response and memorial tribute to violence and racism in America. 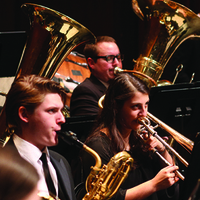 Student and select community musicians perform an exciting array of repertoire for the wind ensemble, from the 19th century to today, including many world premieres. This program focuses on works of protest and memorial tribute to violence and racism in America.